If your skin suffers from problems which never seem to resolve, no matter how much you treat them, it’s time to tackle the root concern. 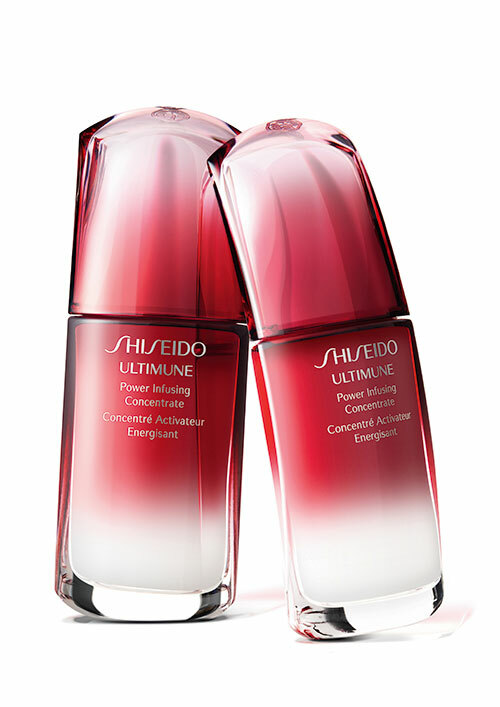 Based on two decades of research, Shiseido, one of the pioneers in applied research of immunity of cosmetic products, brings out an innovative skin care ­— Ultimune Power Infusing Concentrate. This product works on building skin’s immunity, thereby leaving you with smoother, firmer and younger looking skin. The functioning of Langerhans cells, which control skin immunity, can be impaired not just by external dryness, air pollution and UV rays, but also by ageing and emotional stress. Laboratories in Shiseido realised that by calming the enzymes of Langerhans cells, the skin damaging factors could be neutralised. Ultimune Power Infusing Concentrate helps boost skin’s multi-defensive powers while strengthening its resistance to day-to-day damage and signs of ageing. As the in-house scientists turned to Nature for inspiration, looking for plants that thrived in severe environmental damage, the complex consists of a unique botanical blend of anti-oxodant Gingko Biloba leaf extract and anti-bacterial Perilla and wild thyme. Regular use for four weeks, improves skin’s firmness and resilience, making wrinkles less visible. While it works on building skin’s immunity, it also provides instant gratification. Immediately upon application, the skin’s texture gets a makeover. It is smoother and more supple. The green floral scent energises and relaxes at the same time. When Shiseido began its skin research partnership with Harvard Cutaneous Biology Research, little was known about the Langerhans cells, commanders-in-chief of the immunity system, found only in the skin. The study proved what clinical dermatologists had observed for a long time that human skin and human emotion are closely linked. This was so significant, that Discovery Magazine listed it as one of the ‘Top 50 science stories of the year’ in 1993. In 2007, the brand made another breakthrough discovery linking immunity to the skin’s condition.